Last time we visited Family Promise, we learned more about the organization and got to take a peek into what an average day may look like for the families that are helped. We were told about a great program that they run called the “Partners in Housing” project. Through this program, Family Promise purchases manufactured homes for families needing permanent housing. Family Promise purchases these homes for $6,500 and restores them to make them livable. When a family shows fiscal responsibility by consistently paying their rent and utility bills, they receive the title to their home. A family can essentially go from homelessness to home ownership in as little as six months. The problem that many of these families face when they move into their new houses is that they often do not have all of the amenities to make it a home. 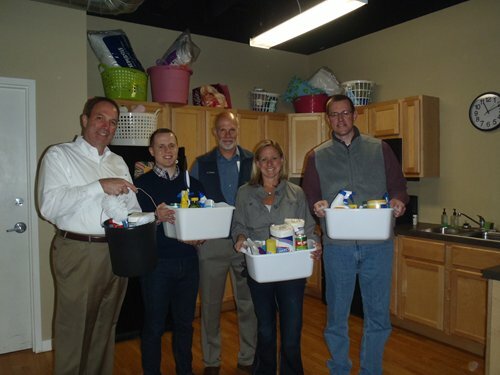 As one of our spring projects, we decided to help ease the transition of some of the families by providing cleaning material baskets. 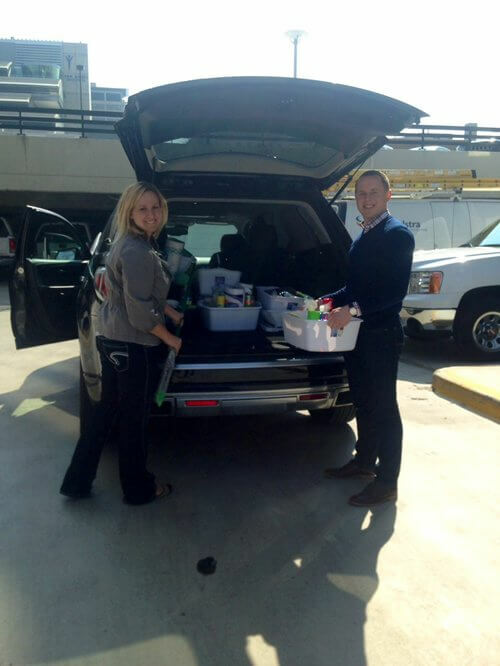 On Friday, we brought 14 buckets filled with cleaning supplies to the Family Promise office that will be distributed to families as they leave temporary housing and move onto permanent housing. We had 100% participation from our staff, which was challenged to each donate their own bucket and materials. For even more information on Family Promise, please click here.